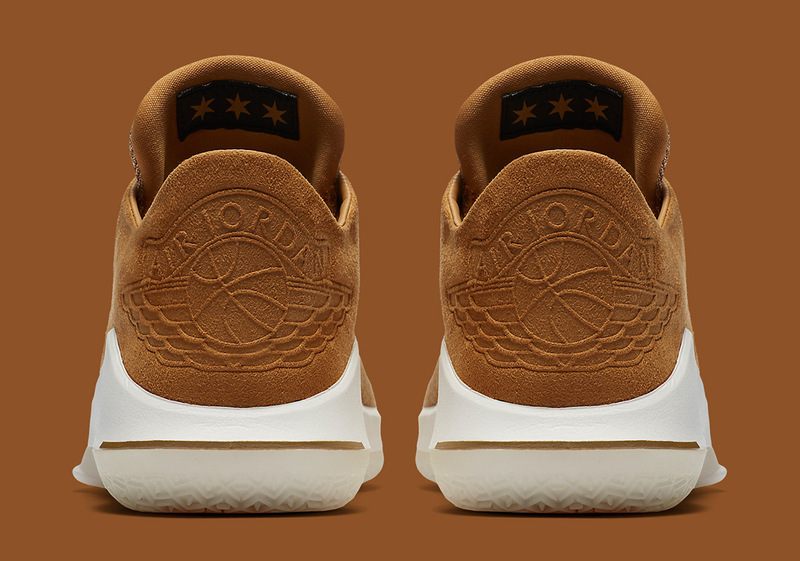 Fall is right around the corner, and for the sneaker world that can only mean one thing, get ready for wheat. Every year, sneaker companies from around the industry fill September-November with Timberland-inspired colorways of their top silhouettes to perfectly fit with the changing weather outside. One of the first brands to step up to the plate to try and knock the wheat aesthetic out of the park is the Jordan Brand with the Air Jordan 32 Low. Its flyknit-infused upper ushers in a light take on the golden brown hue, while its heel unit opts for a much darker shade dressed in suede to match its shimmering Wings logo that comes plastered on its heel. A Metallic Gold midsole Jumpman and three stars in the shape of the stars on Chicago’s flag sewn underneath its tongue complete this attractive selection that should have consumers counting the days until autumn. Official images of this new Jordan 32 Low are available below while pairs are slated to arrive at Nike.com and other select retailers on September 1st.